Interbank are proud to partner with LB Women to bring you a program which connects lesbian and bisexual mentees and mentors across the globe and across industries. Together with OPEN Finance, the US based LGBT network, LB Women are launching their 2018 Global Mentoring Program! Applications are now open to members of corporate and industry LGBT networks globally. 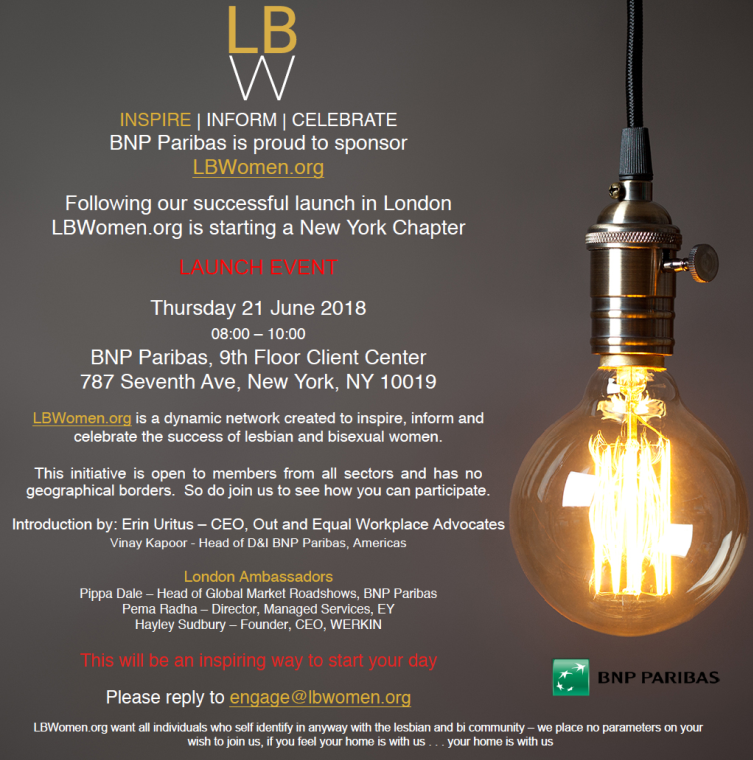 Interbank are proud to support LB Women, and encourage as many of you as possible to apply if you are eligible, as this is a fantastic opportunity to broaden your international network and progress your careers. If you would like to participate as a mentor or mentee, please click here to find out more and get your applications in by COB 30th May. 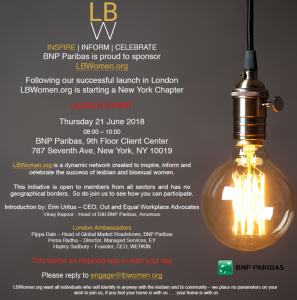 And finally, LBWomen are officially launching in NYC on Thursday 21st June at 08:30 – Sheraton Hotel, Times Square. Please let your friends and colleagues know. If you’re in town, don’t miss out!